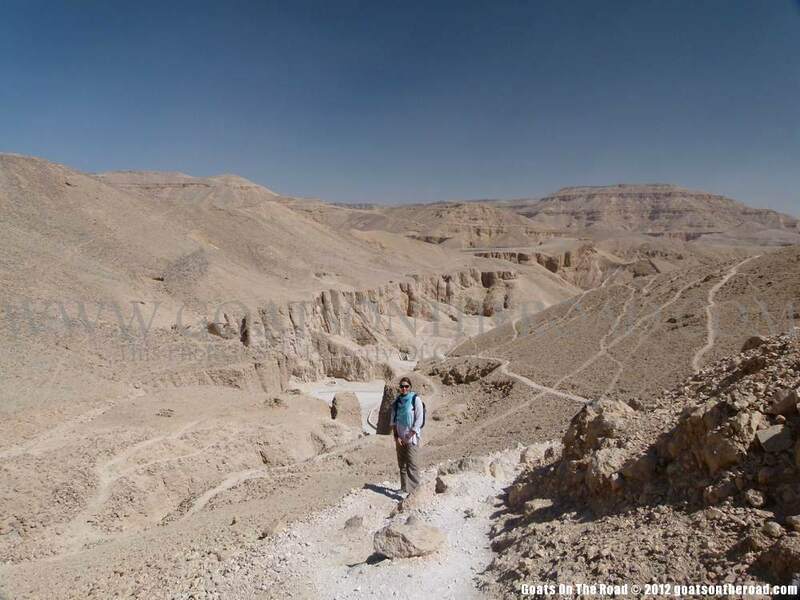 Egypt has got to be one of the best backpacker destinations! After our relaxing 4 days of sailing down the Nile River (which fit easily in our backpacker budget), the 6 of us headed to Luxor. Bernie and Toni only spent the one night and we parted ways with them, again. 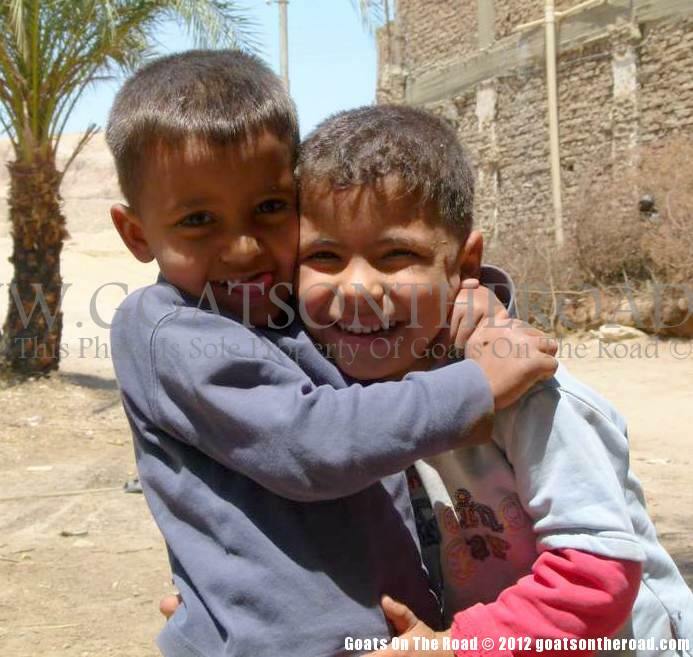 Michel and Chisa were hanging out in Luxor for 4 days, just like us. 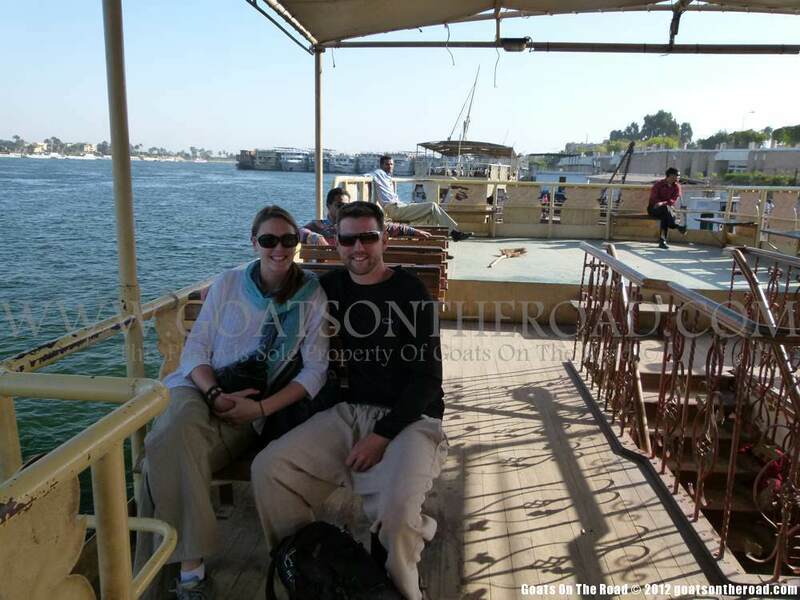 We pictured Luxor being very very touristy, worse than Aswan, however, we were pleasantly surprised. Very minimal hassle, just the usual calls of “horse carriage, taxi, beer, hash”? We were all pretty tired from being on the boat in the sun for so long so we took it pretty easy the first couple of days. Lots of napping, eating, movies, all the good stuff. 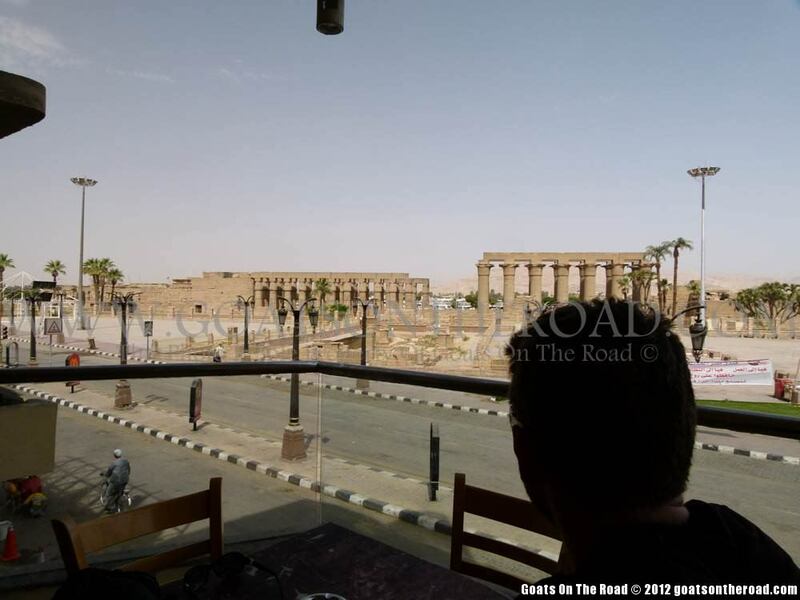 The second day there we got up the energy to wake up at 6:00am to go see the Temples of Karnak. It was massive. 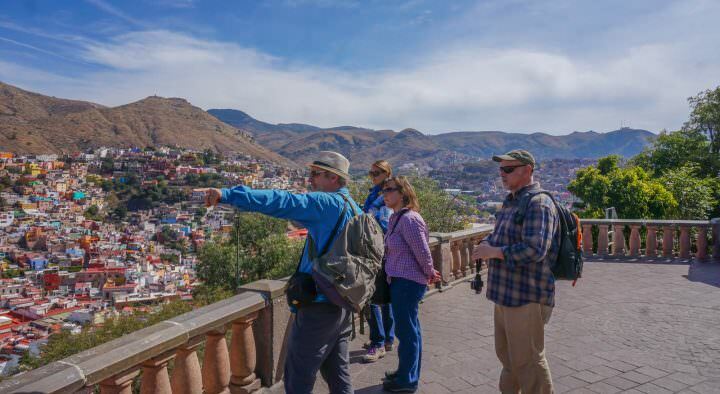 The whole site covers over 2 square kms (large enough to contain about 10 cathedrals!). 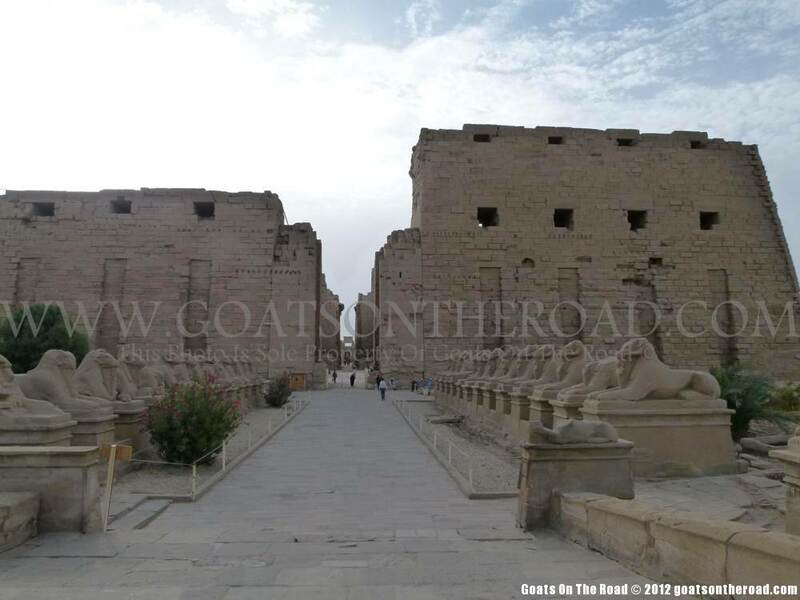 The most impressive area was the Temple of Amun, which is the largest religious building ever built. 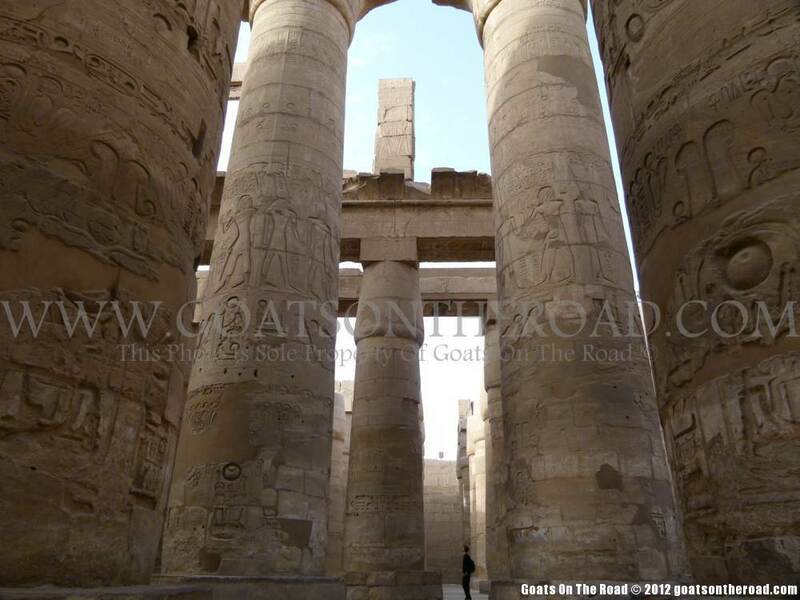 Our favourite area was the Great Hypostyle Hall, covering 5500 square meters and containing 134 towering stone pillars. We mostly hungout in that area staring in awe at the massive pillars. On our way out we saw a group of SE Asians taking pictures and saying “nung, sung, sam” (meaning 1,2,3) and we instantly knew they were from Thailand. We dug deep into our brains to remember how to say anything in Thai and came up with “Sawadee-ka” (hello). 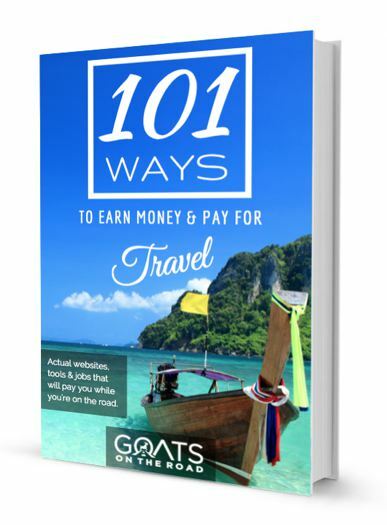 They were almost as surprised to hear us say that as we were to see Thai people travelling! Around noon it started getting pretty hot so we headed back to the hotel, we later found out it was 36 degrees outside. No kidding we were exhausted. The next day we set our alarm for 6:00am and ended up getting up at 7:00am, it’s just so hard to wake up early. Made our way downstairs and had a breakfast consisting of a super oily omelette (we had to teach them to use only a drop of oil in the pan, rather than the whole bottle), bread, a tiny bit of cream cheese, jam and tea. The typical free breakfast in Egypt..hey, it’s free, we’ll take it. We made our way down to the ferry terminal and got on with all the locals crossing the Nile from the East bank over to the West bank. 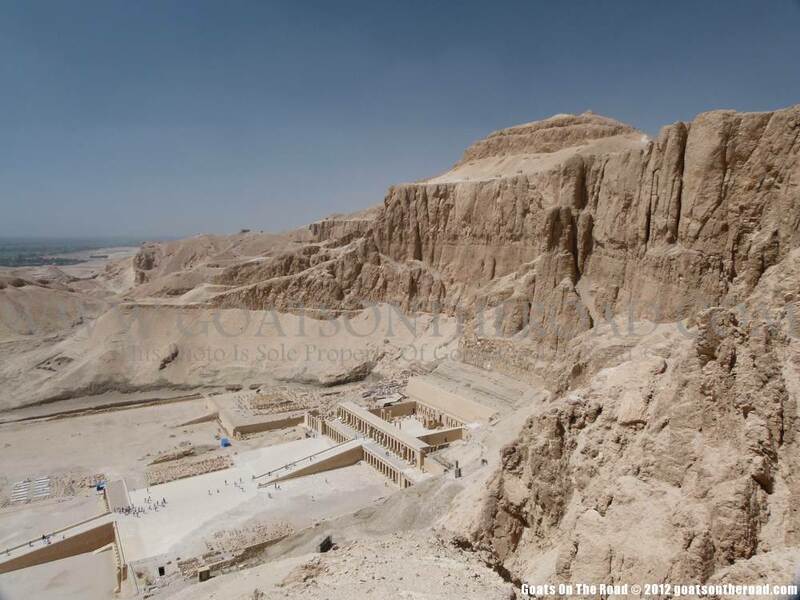 Valley of the Kings and Deir-al-Bahri Temple of Hatshepsut were on the agenda for the day. I can’t imagine what seeing these sites would be like during the high season or when there wasn’t a revolution happening. There were quite a few bus loads of tourists arriving as it was. We went into 3 tombs. Tomb of Ramses IV, Tomb of Merenptah and Tomb of Ramses III. All 3 were amazing. No photography was allowed because the flash from cameras (and treasure hunters, floods, carbon dioxide, friction and humidity produced by the sweat left by each visitor) can ruin the reliefs and pigments of the wall paintings. We walked down the very long pathways deep into the tombs, gazing at the awesome relief work on the walls. We bury people in small coffins 6 feet under, the Egyptians bury their Kings and Nobles in style. 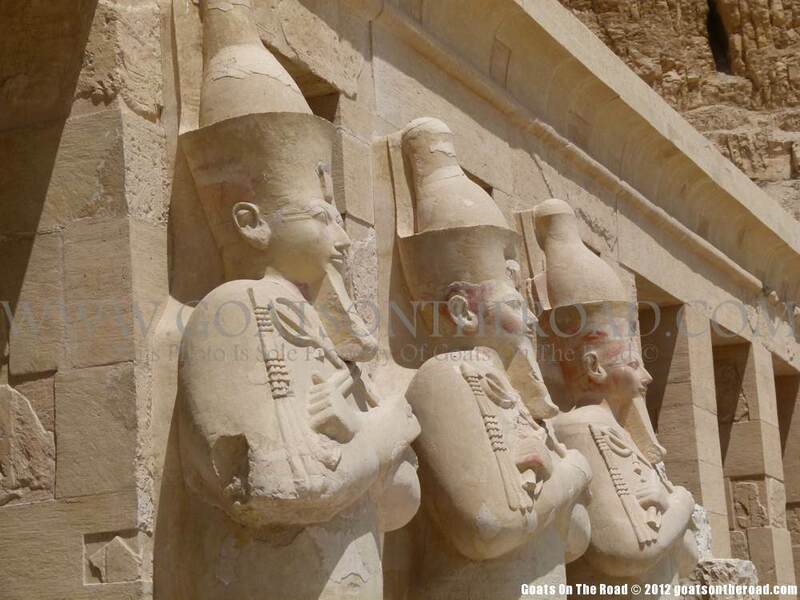 After the tombs, we went to Temple of Hatshepsut. All of the tour groups loaded back onto their massive buses and drove around the huge mountain, but not us. 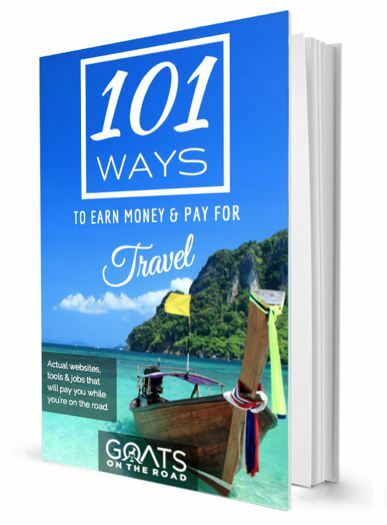 As independent travellers, we were seeking a better way to see the sites. We went OVER the mountain! 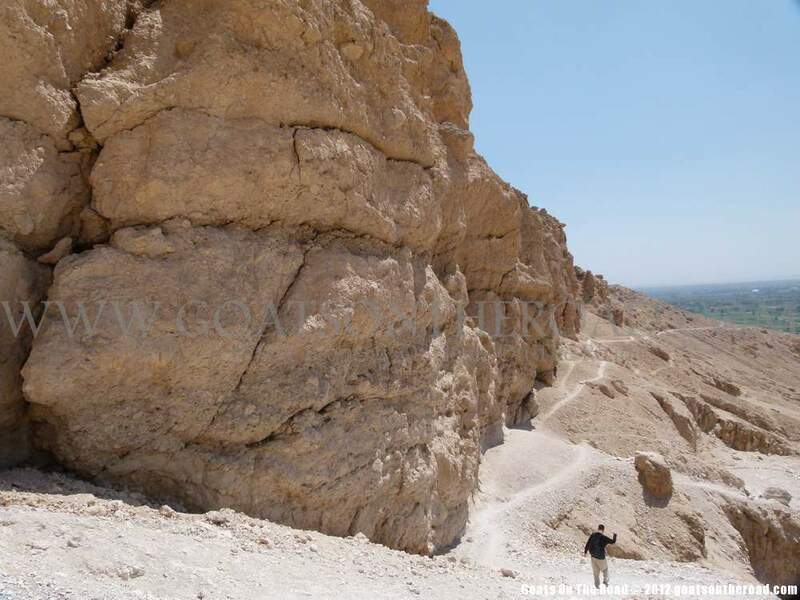 It was a great hike with fabulous views of the Valley of the Kings from above and all the surrounding mountains. It took about an hour and was worth every minute. We stopped once for a quick break and a couple of Snickers bars along the way (we find they give us energy.lol) but other than that, we navigated our way along the 300 meter high cliffs all the way to the Temple. Another amazing feat of architecture that has been vandalised over the years. However, it is still stunning. 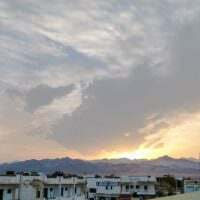 We had read that the area has been designated as one of the hottest places on EARTH, so we didn’t stay too long as the sun was creeping up higher and higher in the sky. After a walk through some desert and some other tombs in the mountainside, we were feeling pretty “ruined” (pun intended) so we hopped in the back of a truck-like taxi and went back to the ferry. A great morning. 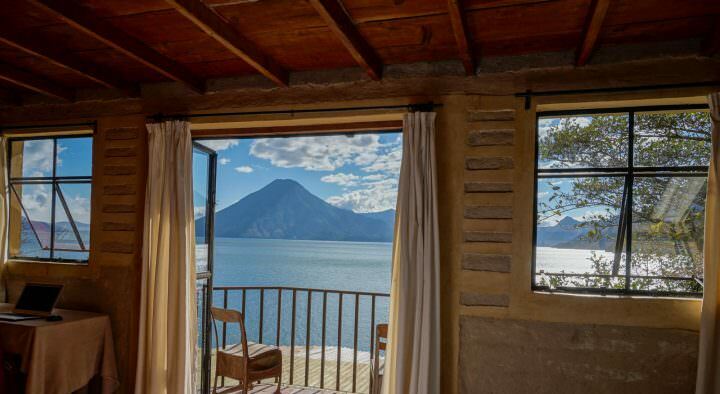 We had some goodbye beers with Michel that night – unfortunately Chisa was out in the sun enjoying the Temples for too long and was exhausted so she stayed in the room. The next morning we said our official goodbyes to Michel and Chisa 🙁 it was great travelling with them, but alas, most backpacker friendships/journeys only last a couple of weeks, max. Hopefully we will meet them again in the near future. 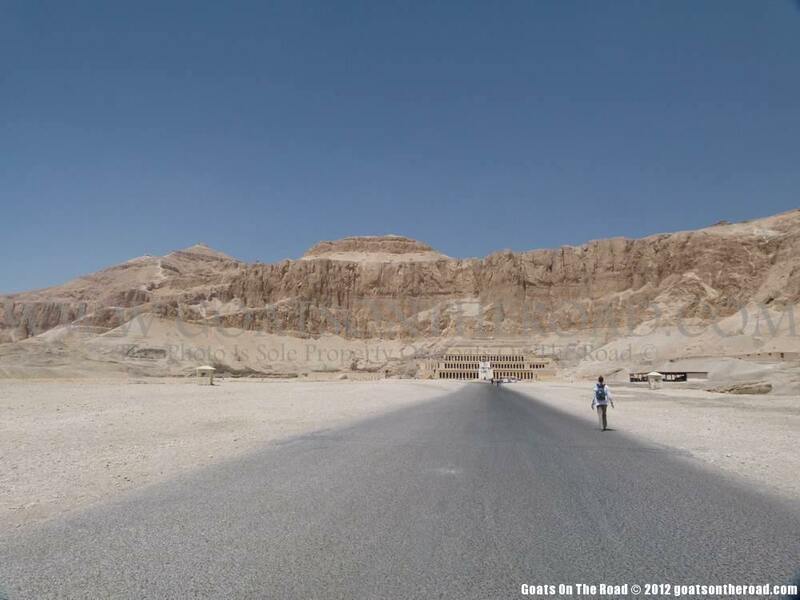 That night we took a 20 hour overnight bus ride (also known as: brutal) from Luxor to Dahab. The seat in front of me wouldn’t go up and the seat I was in wouldn’t recline, there were at least 5 military check points (which meant being woken up every couple of hours by a military man poking us in the arm and saying “passport”) and on top of the check points, the bus stopped about every hour for a ‘break’…who needs to eat or smoke at 3am? Even so, we’ve had worse bus rides and after some of the transportation we had taken on our last trip, this actually wasn’t so bad. 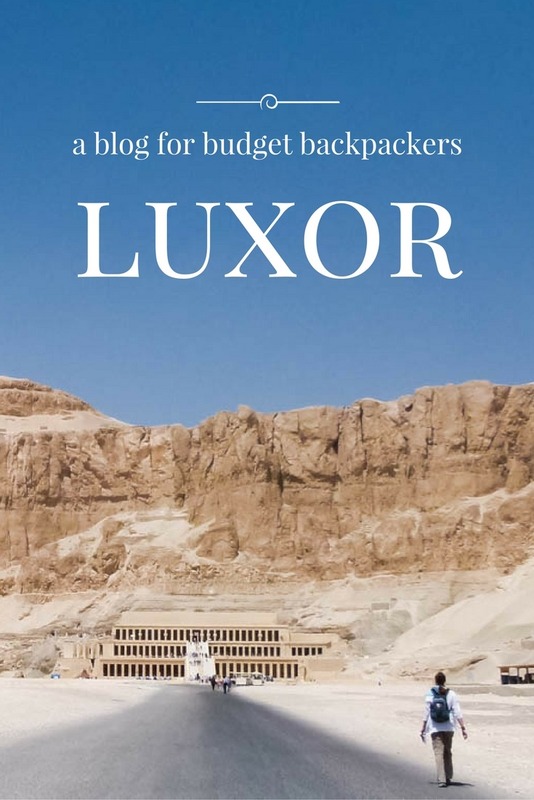 Thanks for sharing the nice article on luxor. its been a long time since you posted this, but maybe youll get my message. we are planning to backpack egypt in a bit and are thinking about sailing down the nil. How much did you pay. How did you get your boat and crew? just ask in a harbour?